I have shared this design on Thingiverse please feel free to download and remix. 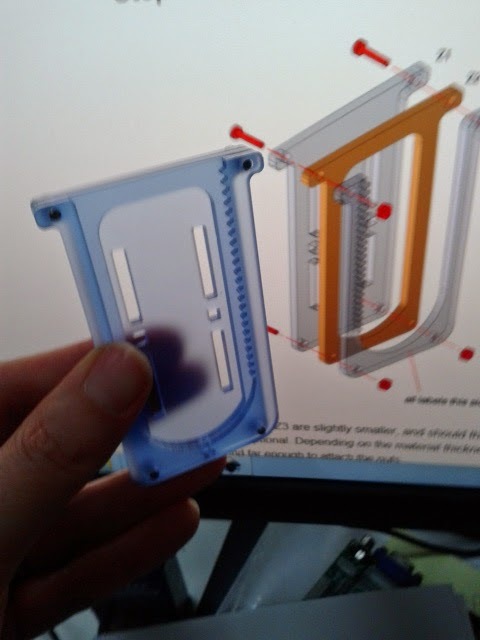 Personally I'm looking to make a actuator for the shutter button and somewhere for lighting. Hope everyone has had a great Christmas just a quick post on some of the things happening on my Blog in the coming year. I am very much a believer in 'Don't Give Up Try Something New ' with this in mind. This is my list of New Years Resolutions for this Blog as well as the Makers Calendar. First of set specific posting days of the week I'll start with 2 post a week Monday and Thursday. Improve rabidinventor.co.uk with a better layout maybe a move from Blogger to a more customisable CMS with artwork and more pictures. 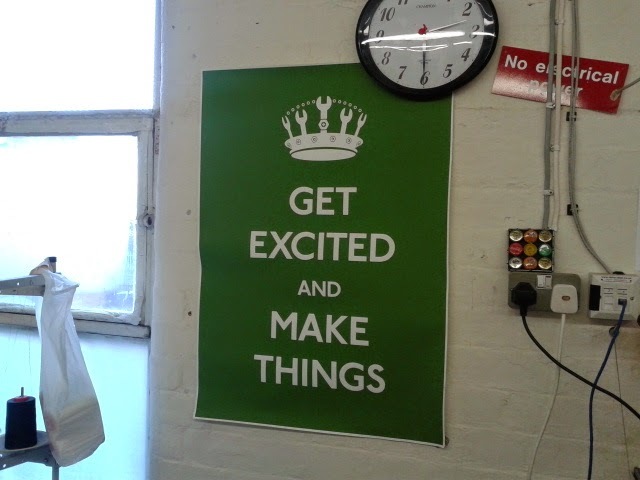 Move the Makers Calendar to it's own site allowing more event details to be posted and some space for maker/hackspace events as well as the more national events with more info about the organisations running them. And a big one that I'm going to work on straight away is improve my photography. My camera work is a little ropey at the best of times especially during video work. Still learning, and this could lead to some nice Hacky solutions to this problem. This is part 2 of my series reviewing cheap tech from china, part one and more info can be found here. So second little china post jiffy bag arrived on the 3/12/14. It contained 7 Teenie Tiny 25 point bread boards. OK, I realise these are not breakout boards but when I saw them I had to give them a go, just look how cute they are. These breadboards where 0.99GBP for all 7 making them less than 0.15GBP each this is not including 0.29GBP postage but that's not too bad. 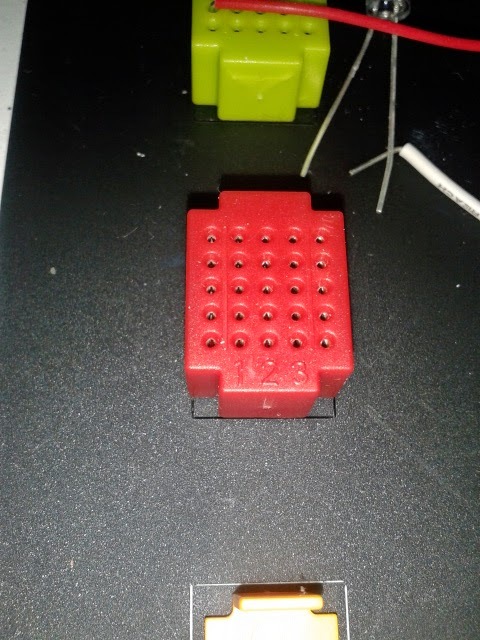 The Breadboards have 25 holes that wires or conponent leads are pushed into, the grip seems strong enough to gently hold the wire and make a good electrical connection. The conductors inside the breadboards run in 5 lines this means that the that 5 lines of 5 holes are connected allowing you to build simple circuits. Unfortunately because there is no break in the middle they are not DIP compatible so no mini Punk Synth's never mind they are still good for all types for passive components and discreet semiconductors like transistors. 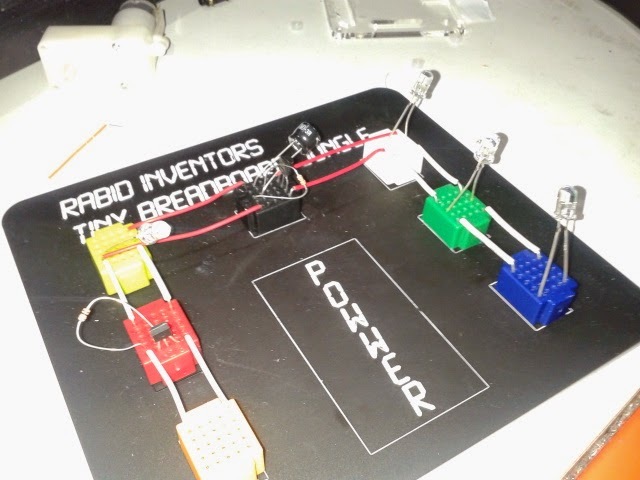 In this photo you can also see that the bases are detachable from the breadboards on the base there are two pegs, I found out later that Seeed Studio sell a kit with 12 of these breadboards and a peg board base so you can fashion your circuits together. So I decided to Laser cut my own base to it. 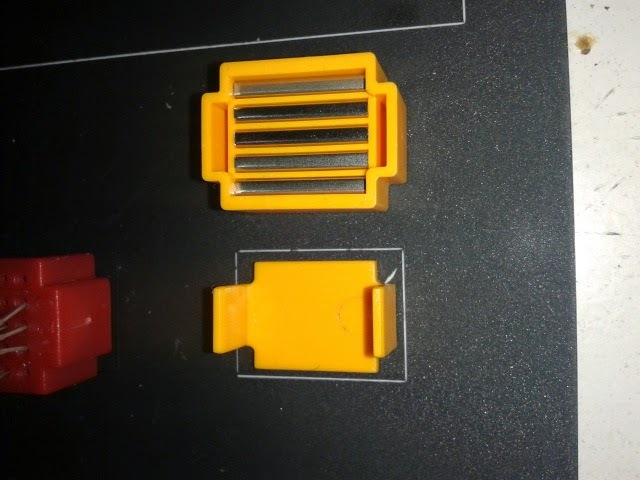 I have uploaded it to ThingiVerse if you wish to have a go at cutting your own. These are some of the things that don't seem very useful until you need them. With a based board, mine or Seeed Studios I don't find them very useful. 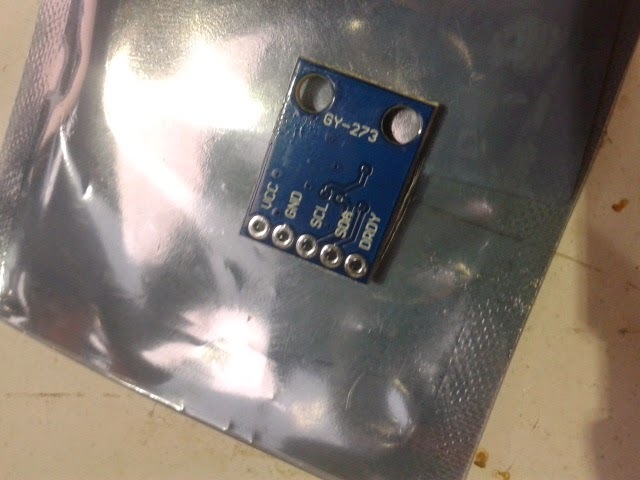 But as a single Tiny breadboard just when you want a single tac switch, transistor, led or even join some wires, when a mini breadboard feels too big or space in you project is a bit tight these work for me. I give these 4 Sparks useful would like to see some that are DIP compatible can't win them all, but the build quality is not bad. 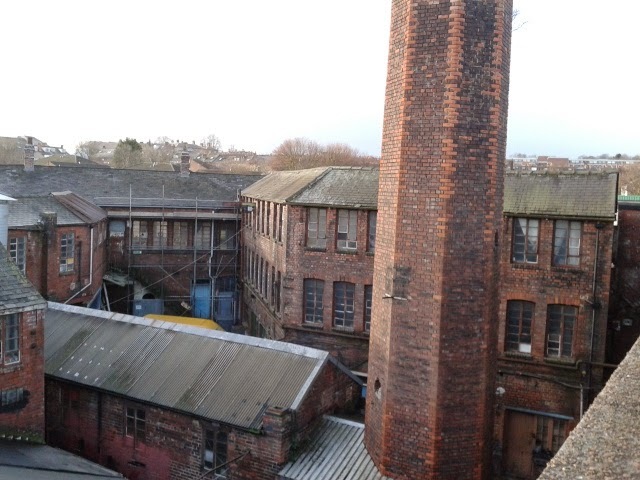 The Portland works was built in 1877 and is an old Sheffield institution and arguably the birth of stainless steel. It was build as a hive of workshops and factories based around a single engine house powering the various businesses through belt drives and traditional overhead pulleys. 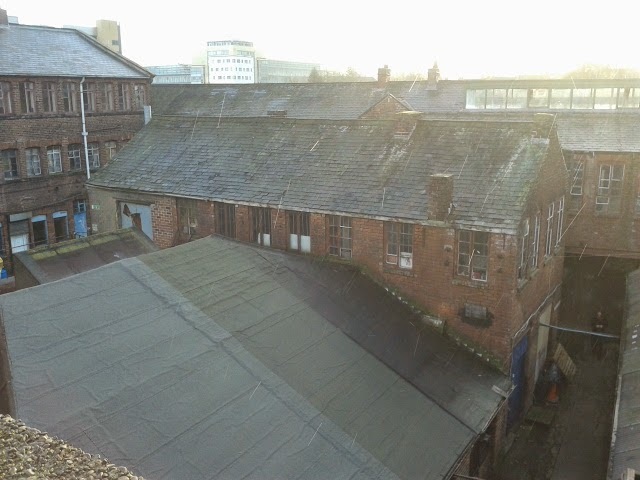 In 2009 while still housing several small business it was being threaten by being converted into flats. 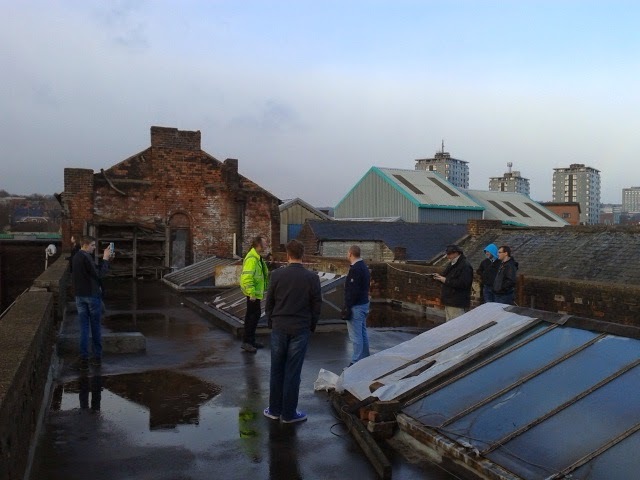 At his point a social enterprise was formed from 500 members of the community that pool funds buy the site. 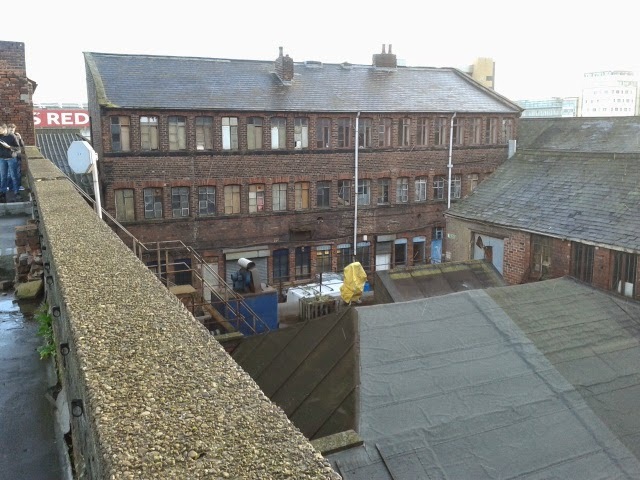 The Businesses that operate on the site work together for the benefit of the site and all help in the active restoration of The Portland Works. 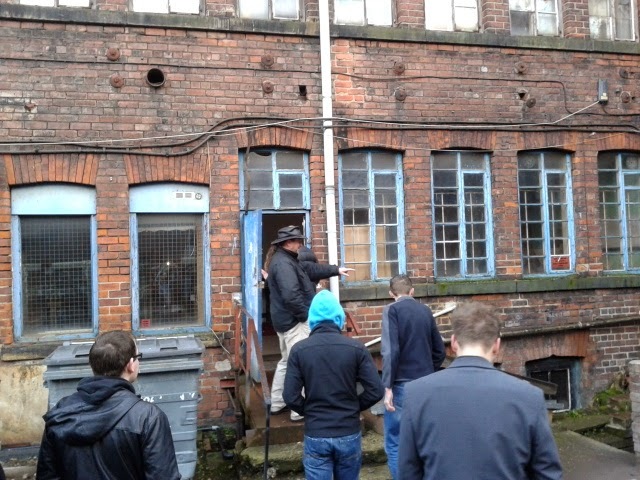 The Motley crew being given a quick insiders tour by James Wallbank of Infinite Crypt makers of high quality affordable model scenery. Entering to have a look at the available space. Sorry about the picture quality down to my shaky hands. 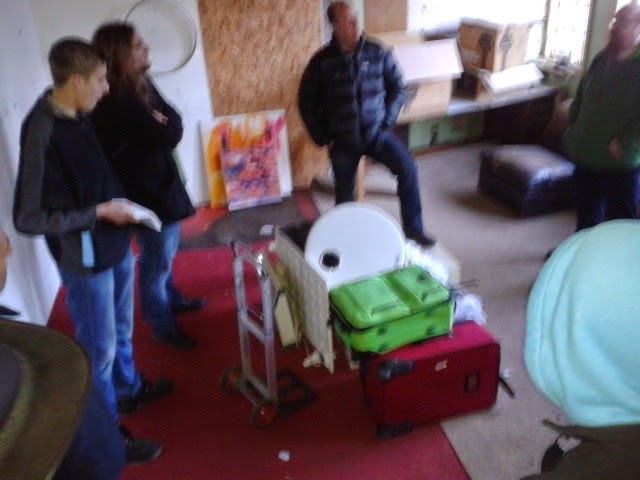 This is the main room of the space it was used by a band as a practice room previously with some discarded kit but a nice flight case in the corner. 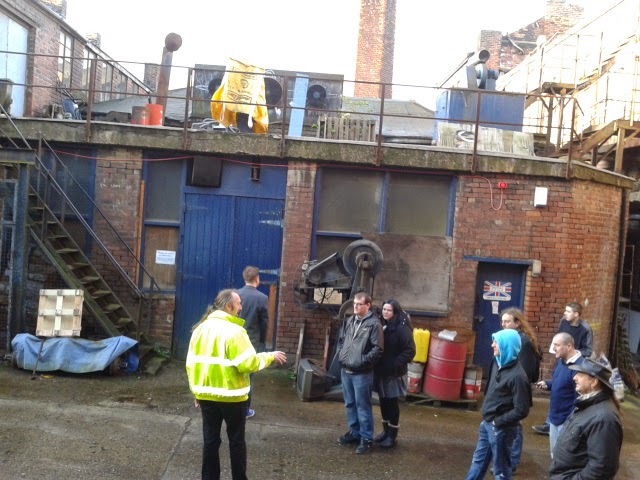 Having a long talk with Colin the landlord who was very receptive to what we need as a group. 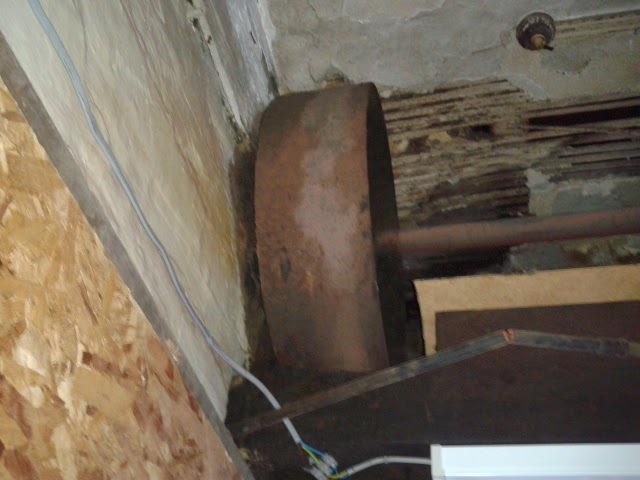 The space had a smaller room next to the main area and up in the roof an original pulley from the Victorian drive system. 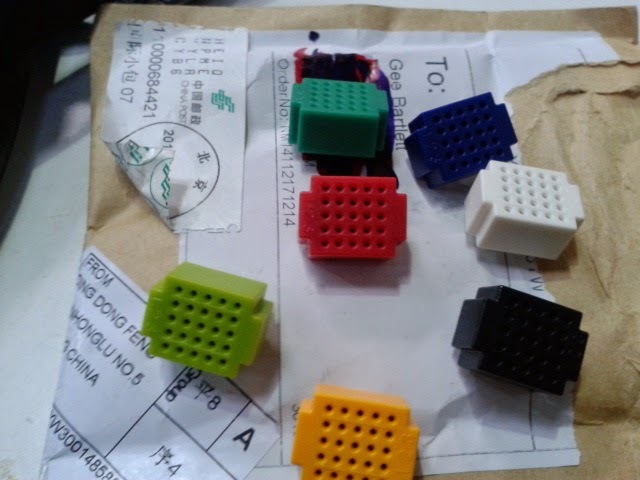 This is the first in a series or reviewing cheap imported Chinese breakout boards mostly found on Ebay. 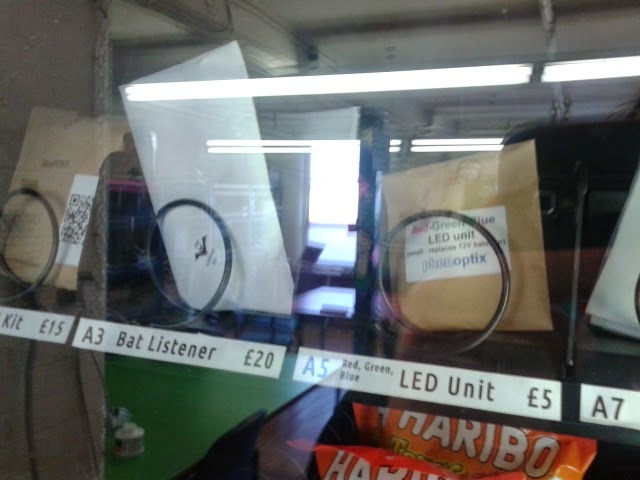 I wan't to know are they any good especially for a maker on a budget. I'll be looking at build quality, functionality, ease of use and value for money. Odered 21st November arrived 1st December a really fast delivery time a week an a half on the whole scheme of things that is fast. 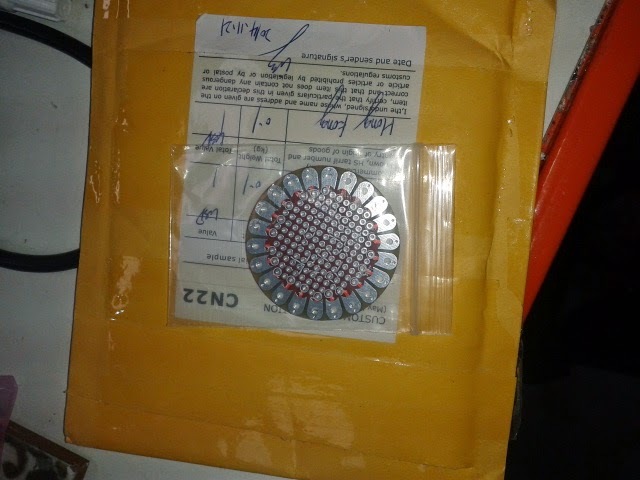 For an imported device it is very well packaged in a bubble jiffy bag and the device was heat sealed into a generic ESD bag (non branded and no ESD makings ) in my experience the non branded bag are sufficient. Nice Sharp silk screen with well marked pads even a Data Ready connection that allows you to run the device as fast as possible. Hot Tip: when soldering use a bread board to hold the the strip headed in place while soldering it to the breakout board. 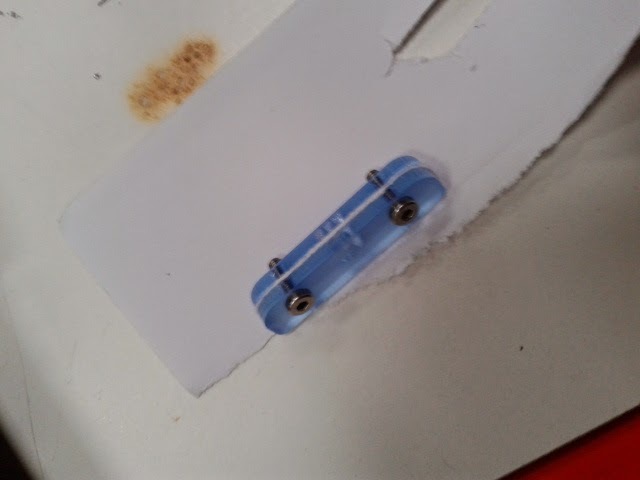 I you want it to be perfect the prop the other end with a small blob of blue tac. Hot Tip: Read the datasheet for the device before hooking it up to any power. 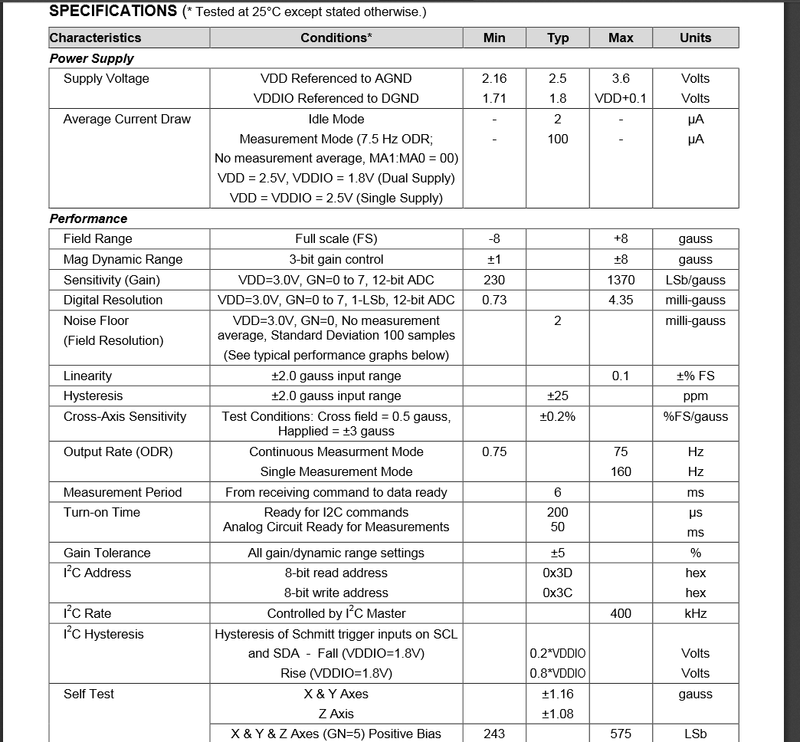 I found the datasheet here first thing to note is the supply voltage 3.6V Max this means the the chip will got POP if you go too far over that rating. This will also be try for any Logic voltage that you are going to attach. 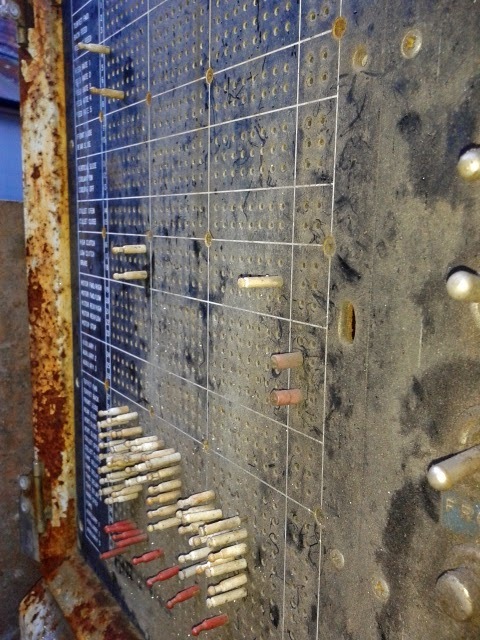 Bearing this in mind its worth looking at the top of the board there is a SOT23 package (black rectangle) on the board a look at the where it is connected between VCC pin and the main chip on the VCC pin it quite safe to assume that it is some sort of voltage regulation. And in fact went I looked back at the sellers page it says it can run on a 3-5V supply. 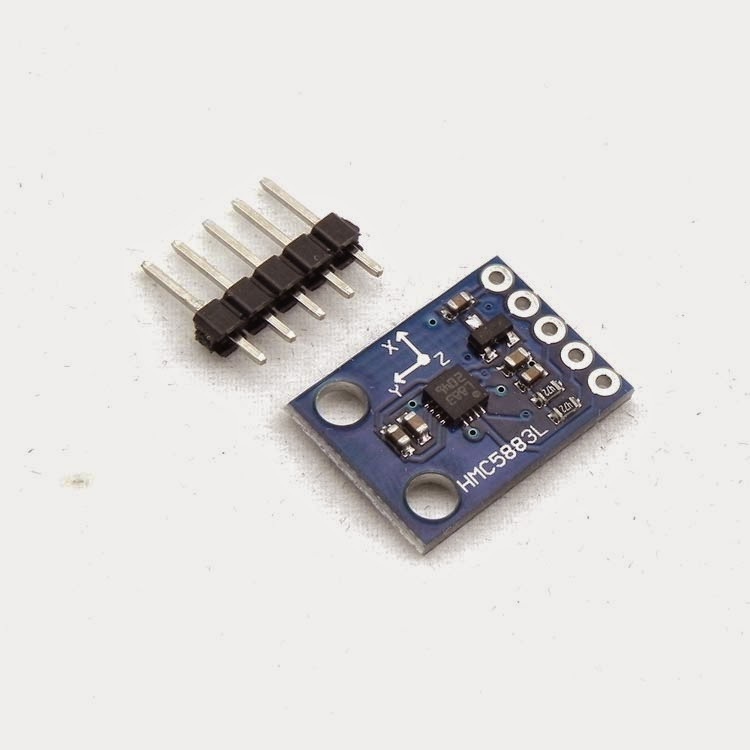 Its worth looking for pull-up resistors and whether they are connected to the chip side or pin side of the voltage regulator. 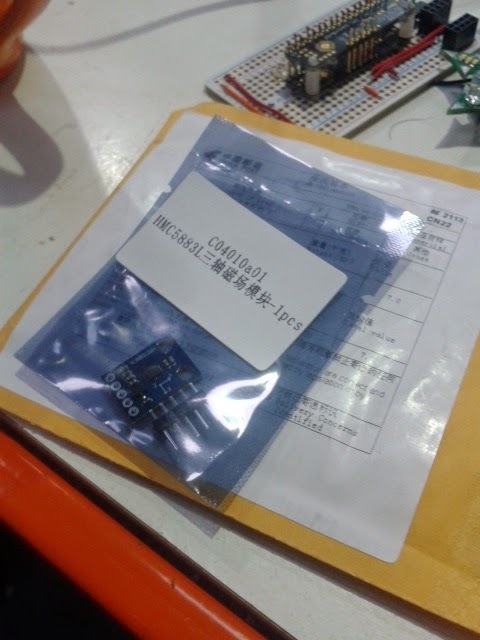 I this case it is connected to the chip side. Connected to an Arduino and found a Library with example to run it. 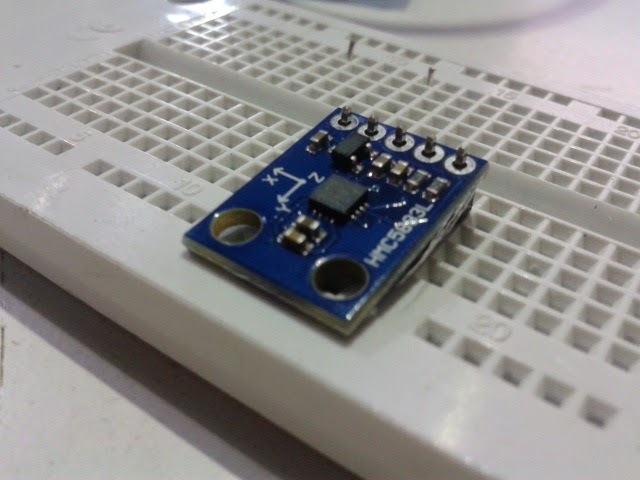 With A big thanks to Adafruit be careful to check that the Arduino's internal Pull-up's are disabled in the I2C lines before connecting to the device. 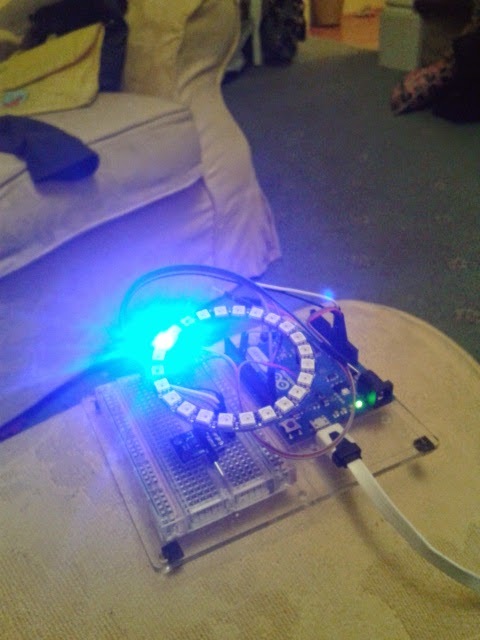 Hooked it with an Adafruit Neopixel Ring that I had knocking around and made a quick e-compass. hope fully tutorial coming at a later date. I was very impressed with the HMC8553L Breakout seems to work well with an Ardunio Leonardo, it should work very well with a Raspberry Pi as that is 3.3V logic. 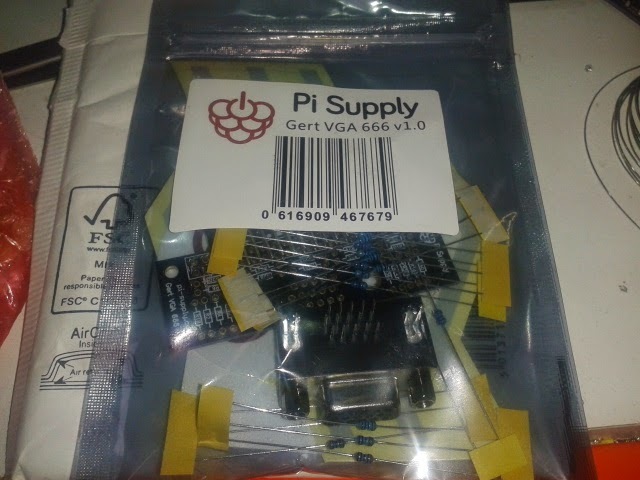 The build quality is excellent and trying to keep in mind that it only cost £0.99 shipped! The other day I found myself looking to the year ahead and thinking of all the upcoming Maker Faires , Raspberry Jams and many other Geeky and Makey events. This left me thinking there is no comprehensive Hackers and Makers calendar and left me trawling through the varied websites to add the details to my own calendar. 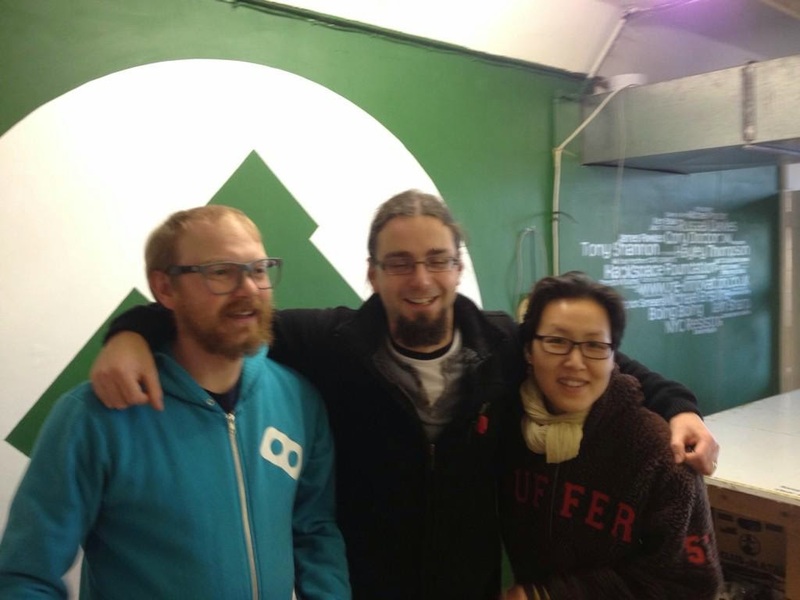 So decided to make a Google calendar containing as many maker events I can find, and share it with everyone. If there are any events that doesn't appear in the calendar place leave some details in the comments below. 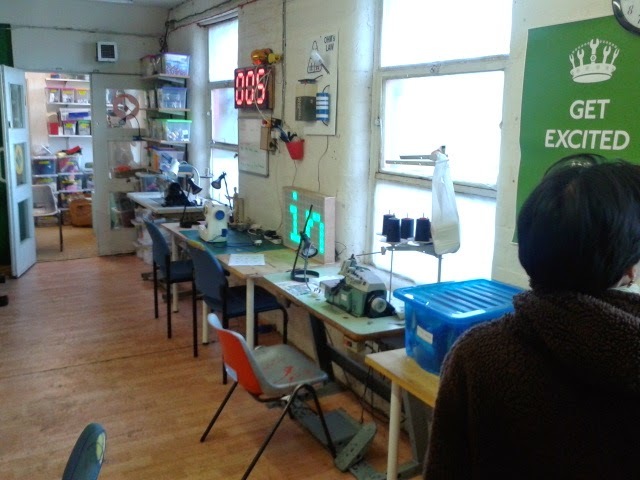 An exciting day was to be had on in Nottingham at the 6th monthly UK Makerbelt Association symposium. 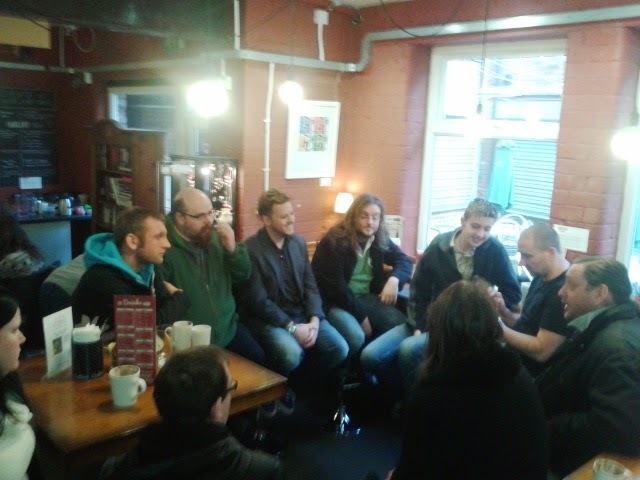 The UKMBA was brought together as a group of like minded for some food and a natter in cities within the UK maker Belt (spanning from somewhere south of Nottingham to somewhere north of Newcastle), and hopefully get to visit a local Hackspace, workshop or other Maker/Creative place. This months was a visit to Nottingham a really creative city. 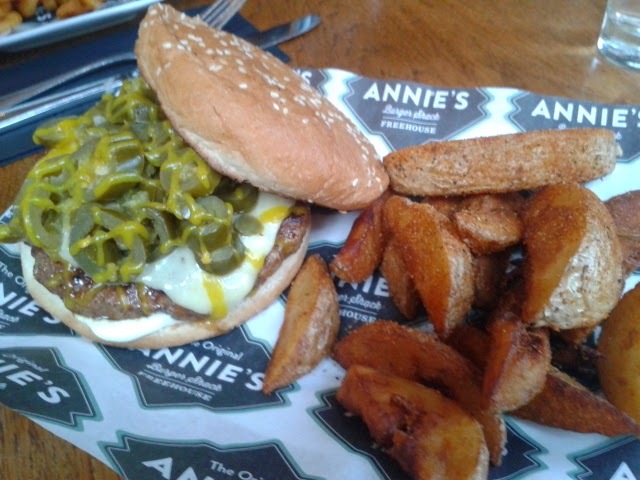 Having lunch Annies Burger Shack mmmmm burgers. 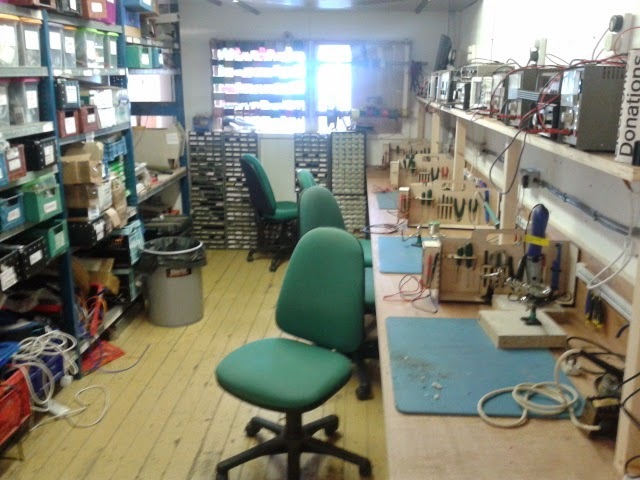 Then it was off to Nottingham Hackspace for a visit. 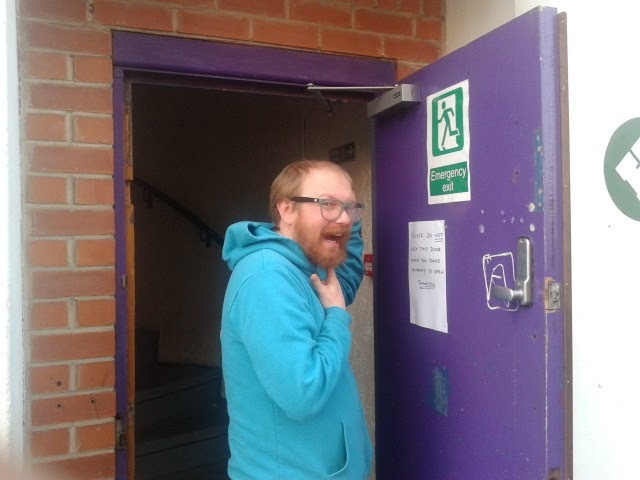 NottsHack has a membership pool of 350+ members that use NFC tags to access the space allowing its members to come and go freely and the freedom to work on projects whenever they can get there. 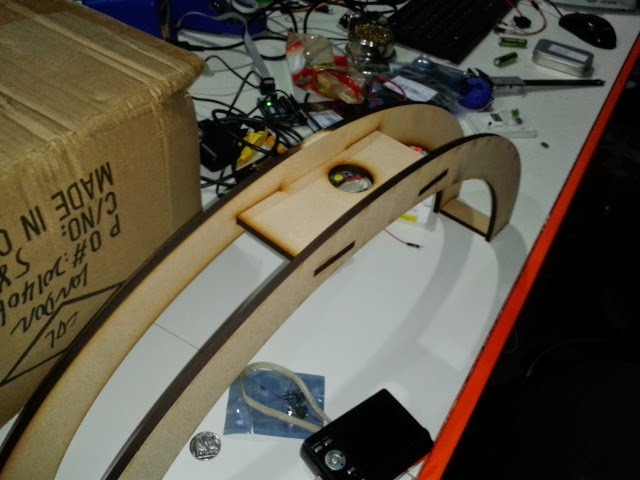 The Piccolo is an open source laser cut tiny 3 axis CNC machine designed by DIATOM Studio. 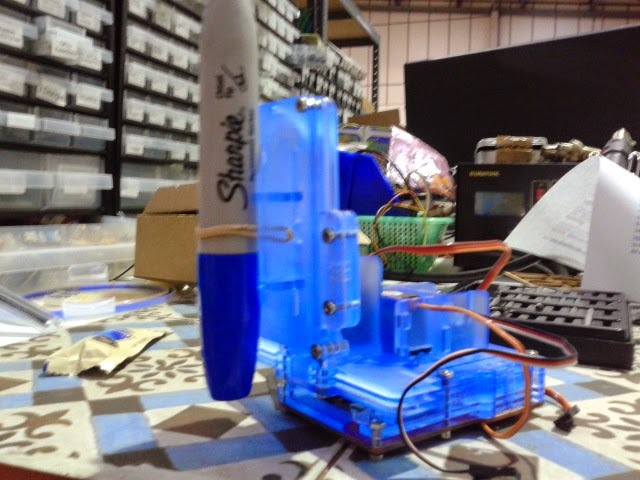 It uses and an Arduino based microcontroller and 3 servo motors to move a 3 axis. The basic design is for a pen plotter but I have seen many examples of other applications like a vinyl cutter or even a miniature lathe. 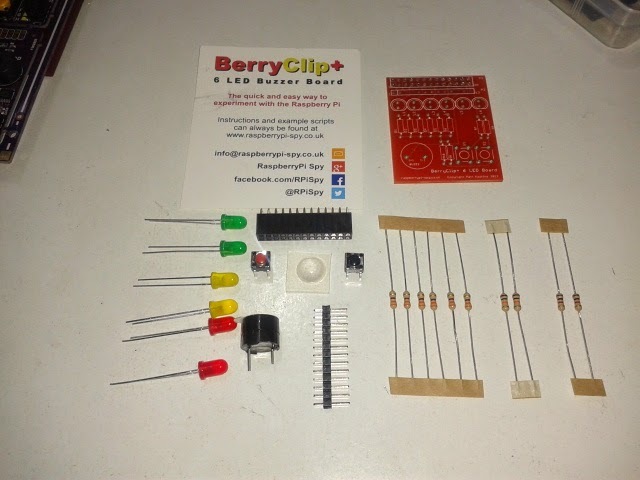 There isn't a kit available yet, but the designs and software is all open source and available to download from github as well as all libraries to get it up and running the software is supported on Windows, Linux and Mac. 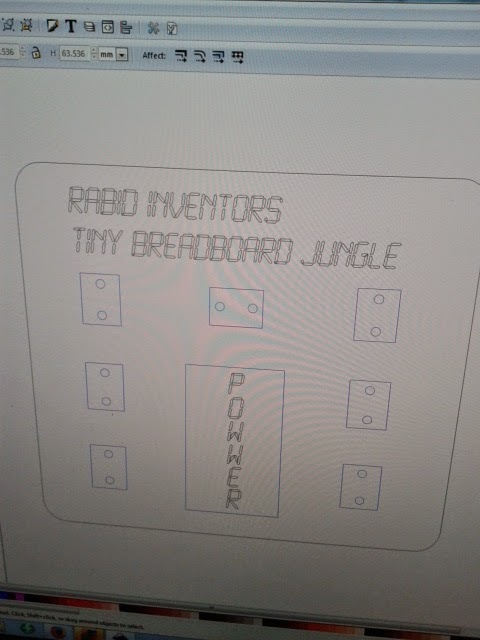 There is a PCB available from Piccolo but not necessarily required as the design can be run from and Arduino with a few components on a breadboard. 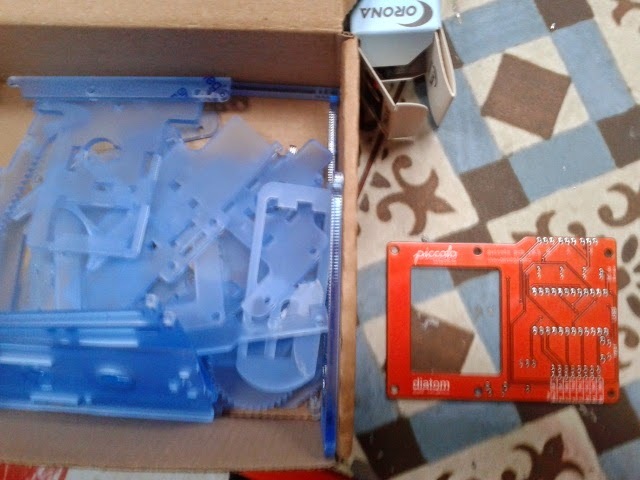 First of all I had to laser cut the design there was plenty of electric blue Perspex offcuts lying around I had to collect some other parts together to build it, There is a full Bill Of Materials in the Github repo with link to recommended Digikey parts. The instructions on Piccolo website are very clear and take you through the construction process in an easy follow step by step guide. Most of the parts are invertible but the rack and pinions are have a specific orientation the above photo is where you can see my mistake. 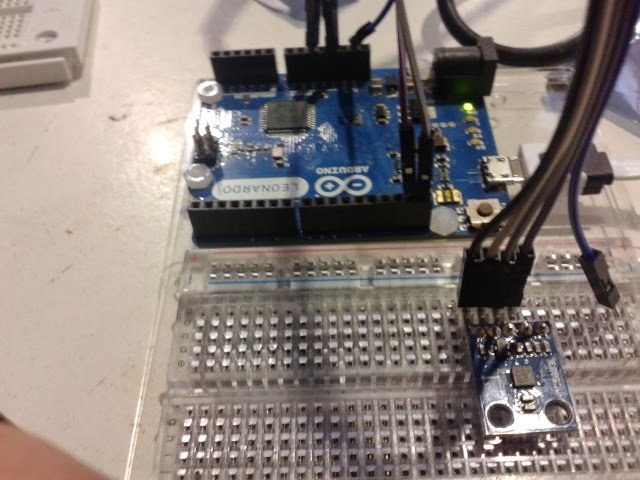 It also shows which direction to set the servo into and where to fit it. If don't set the servo up in this way the axis will not be able to move through its full range. 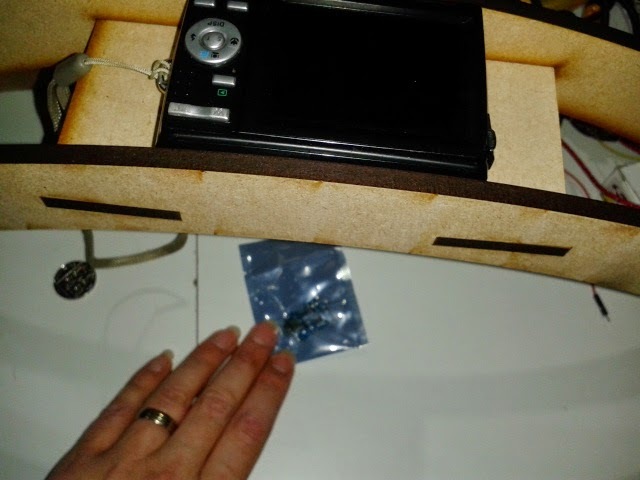 When I assembled this axis I couldn't move it and that is the point I realised my rack was on back to front, OPPPS :). Something I do like in this design is some of the layers are held with a friction fit around the screw, this account for different levels of width tolerance in the used materials. A nice addition to this design is the suggested spacers cut from 160gsm paper. I clamped the paper hindsight it should have laser cut the paper as well, one of the spacers is a little fiddly to hand cut. 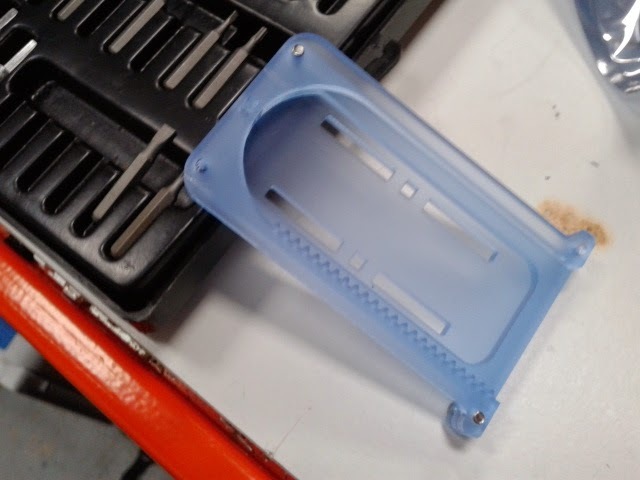 The parts above is one of the retainers for the Z axis that holds the actuator against the servo and pinion assembly. 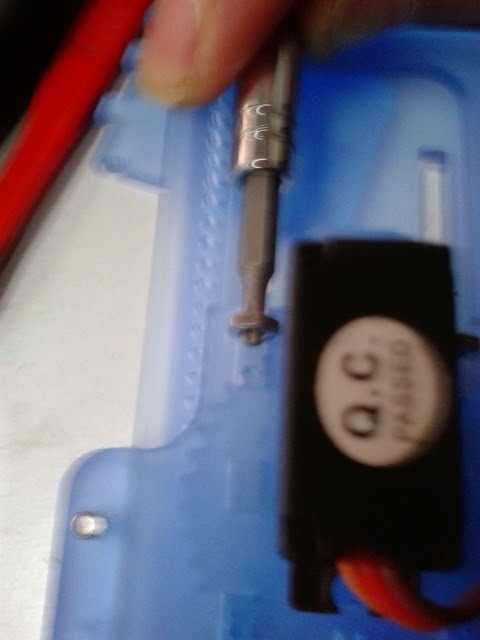 One of the more fiddly moments in the assembly was trying to get the encompassed nuts into their slots found the best way was to push it in with you screw driver through the thread pushing downwards. 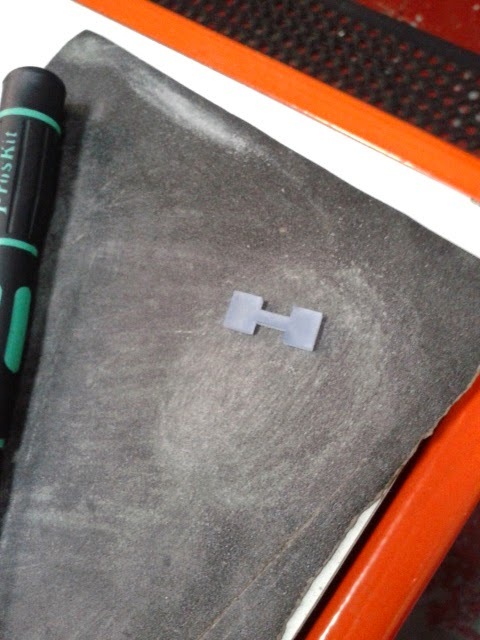 There was an 'H' shaped piece the is held buy a friction fit it found it needed sanding to fit properly. 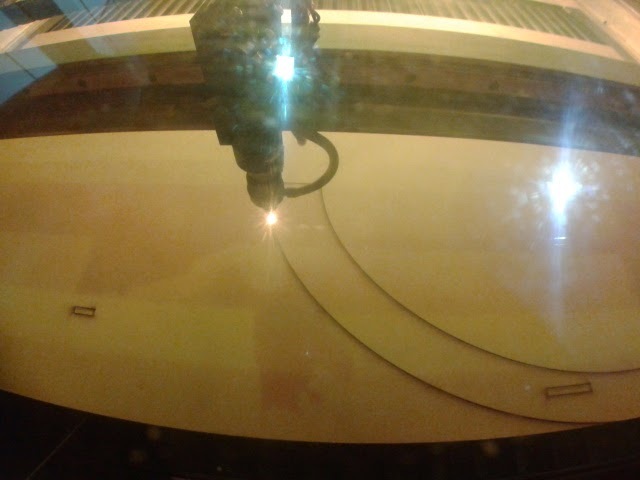 This once again this is down to different tolerances in the material used. In the end the who thing came together in under an hour and looks amazing. The instructions are very comprehensive and easy to follow. As a full kit it would make a great introduction into CNC design and programming. 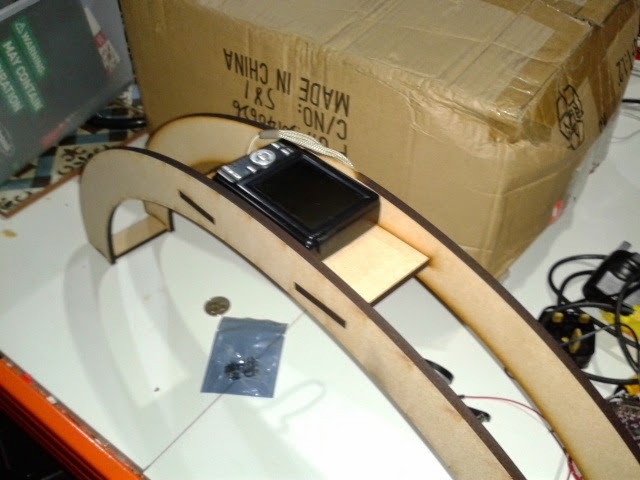 At this stage the only thing I who change is I haven't been able to assemble the PCB yet mainly because it uses a Sparkfun Pro Micro which doesn't have a standard Arduino pin out and I didn't have one to hand, would deffinatly include a shield type solder joints so it could sit in an Arduino UNO Leonardo ect. This is how far I have got with it so far love it. Later on I'll see if I can get it moving.